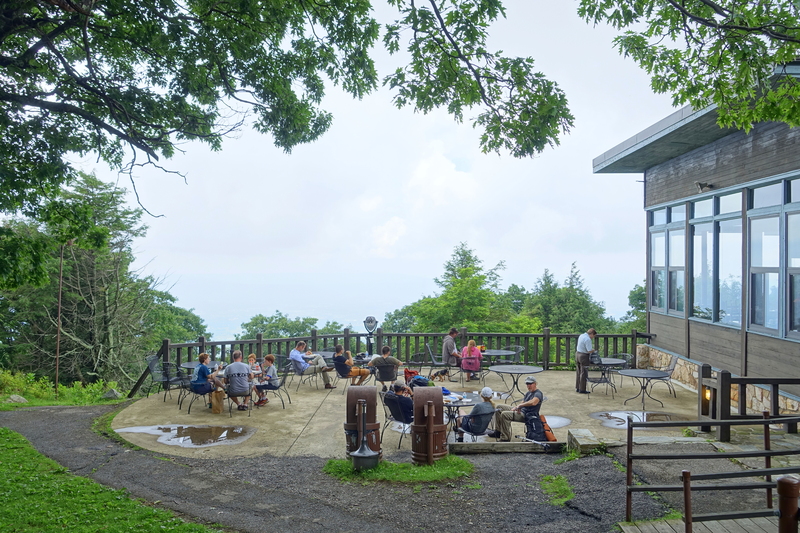 Skyland is located in Shenandoah National Park. Put Skyland into our Shenandoah National Park itinerary planner to see other points of interest to visit during your vacation in Shenandoah National Park. We are here in a Skyland lodge room for Labor Day weekend. The rooms are better than expected with a last minute reservation, especially the views. It is incredible from our room, and it looks like all rooms have a balcony facing the overlook. The room is clean and comfortable. The only drawback is that the walls a very thin and we can hear everything at the neighbor's. Lucky for us, we are the loud ones with a toddler and baby. We also used the Skyland Stables for a pony ride and have taken a short hike, both were very accessible from our room. Dining is tasty in the on-site dining room. Don't get me wrong it's a beautiful location and I know it's in the Shenandoah national park (gorgeous), the view is nice and there is a lot of trails and horseback riding you can enjoy, but the room was just as equal to staying in a sub par RV. At least in our room on the bottom floor had no AC (maybe I missed that in the description) just a ceiling fan. No fridge in the room to keep anything cold. And we had easily 10 giant cetepiedes crawling on the walls and floor, that's just the ones we saw. It didn't make for the most comfortable night's sleep wondering if the creepy crawly friends are going to fall on my face while I sleep. At least the service and all staff were very nice and hospitable. Bartender was great at the taproom.